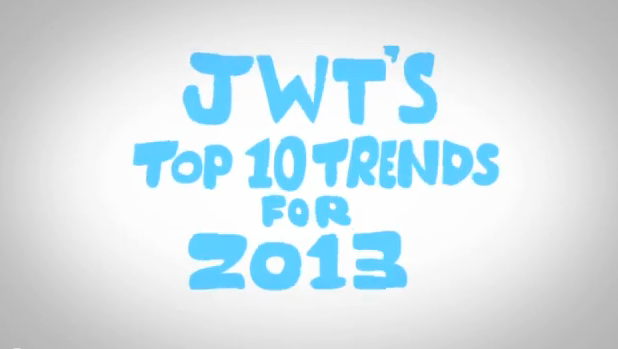 JWT published a very detailed trends report for 2013. While I didn't buy it or read it, I don't mind watching a two minute "Cliff Notes" version of it. I think #1 and #2 are directly related and are issues that will be tackled in the coming years. Stress is a huge deal now. Technology has become a double-edged sword for the work world. It's provided an opportunity for workers to have more flexibility on where and when they work. However, with that mobility comes an increase in accessibility. This raises the issue on when employees are truly "off limits" and blurs the line between life and work. I think we'll begin to see more of a shift in the work-life merger, where there isn't a hard line drawn in the sand. This will make the trends of playtime and stress management with work even more important in the coming years. What trends do you see coming in 2013? What changes are on the horizon?